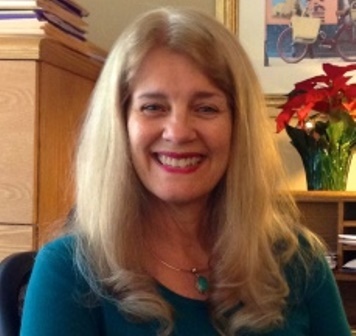 Jan Gallagher is a Jacksonville, FL, solution-focused therapist specializing in helping you live a more balanced, healthful life. By focusing on natural remedies, Jan helps her clients overcome a variety of challenges. Her welcoming demeanor and friendly approach puts her clients at ease as they work through life's challenges together. Jan focuses on mind and body, helping people find a natural way to combat anxiety, depression and other challenges by finding ways to have a healthier biological brain. For over three decades, Jan has been working as a marriage counselor, helping couples overcome obstacles to find a healthy, happy balance. She provides highly individualized attention in a nurturing environment and would love to have the opportunity to help you. Are you looking for an experienced marriage counselor or relationship therapist in Jacksonville, FL? Jan Gallagher has been working with couples for over thirty years and has a highly individualized approach to repairing your relationship. Whether you have been with your partner for a few years or a few dozen years, Jan has worked successfully with all types of couples. She is proud to offer a complimentary consultation for new clients. Call her today to put your relationship back on the right path! Are you looking for a more natural approach to overcome your anxiety or depression? Jan Gallagher offers what is called Integrated Mental Health, which allows healthy individuals to empower positive relationships through natural remedies that bring harmony to your body and mind. Natural remedies for mental health are an alternative to traditional prescription medications and allow your body to heal from the inside out. Questions about Fees & Insurance?